How would you like to appear as a red panda character on Skype, Twitch, or other services that use a web cam? 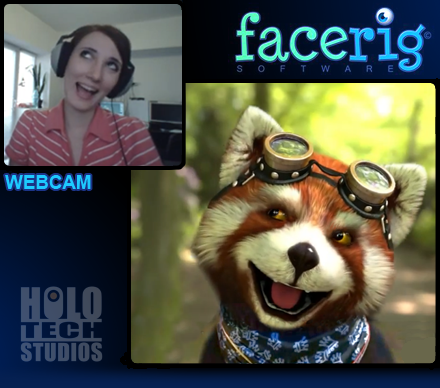 That’s the idea behind FaceRig, a new program under development at Holotech Studios which allows anyone with a web cam to appear as an animated character. In addition to the red panda, the current characters available include a leathery demon, an anime girl, and a beefy human soldier — but they have plans to add more characters as the program is developed further. It all works through cutting-edge face-tracking technology that the developers have created. Check out the demo video over on YouTube. Meanwhile the developers have an IndieGoGo campaign started up to help them get the venture capital they need to bring this program out on the market.